as well as separates viz. 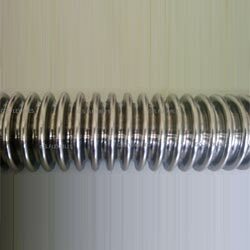 Interlocked Hose, Stainless Steel Flexible Hose, Corrugated Hose & Expansion Bellows are used for transmission of fluid at high temperature and/or pressure. Continuous engagement with customers at different levels to ensure that our products and services are always one step ahead of customer expectation. 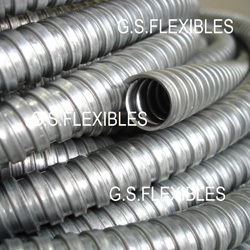 We are established with an objective to manufacture high quality Interlock Hoses, Stainless Steel Hoses & Metal Flexible Conduits. 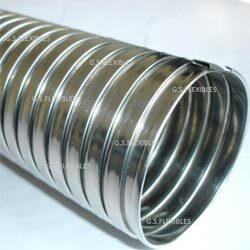 Prominent & Leading Manufacturer & Exporter from Faridabad, we offer products such as Interlock Hoses, Stainless Steel Hoses & Metal Flexible Conduits. Download our product cataloge to get a full specifications of our products. Learn more about our company profile, our core values we follow and quality certifications we have got. 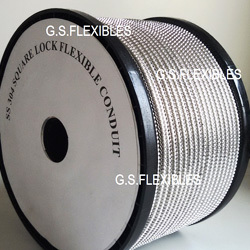 G.S.Flexibles is a manufacturing unit located at Faridabad (Haryana), 30 Km.s from New Delhi-India. (An ISO 9001:2008 Certified Company) It was established in 1991-with an objective to manufacture high quality Interlock Hoses, Stainless Steel Hoses & Metal Flexible Conduits. 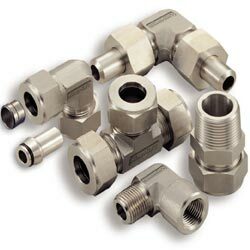 Subsequently we had set up CNC Machine Shop for Hose Fittings, High Precision Instrumentation Fittings & Flanges in Stainless Steel & Carbon Steel. With due humility, we owe our success to our customers. It’s their immense support, confidence & trust in us –which motivated us to add so many items to our product range.